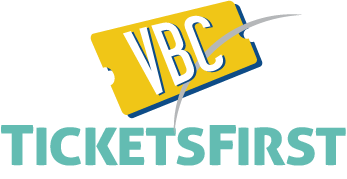 What is the best way to find out about upcoming on-sales at the VBC? Any special ticket offers happening for VBC events? Are there pre-sales for some events? How can I be “in the know”? The answer to these and many other questions can be found at Tickets FIRST! Simply subscribe to the Von Braun Center’s exclusive email distribution list and get the latest and greatest information about Tickets FIRST! So you must be wondering, how much does it cost to get all of this information sent directly to my email box? It is absolutely free!!! Just click on the Tickets FIRST icon and sign up. Will I get lots of emails about events that I am not interested in? No! When you sign up, you can choose the types of events that you are interested in! What could be better than getting the information about events that you are interested in and learning it from Tickets FIRST?! Simply click & register in a snap!